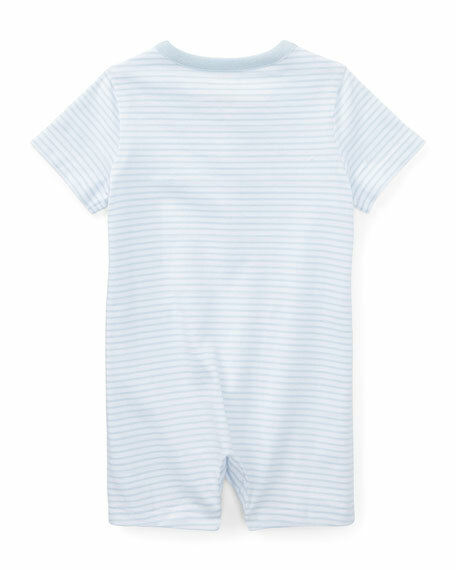 Ralph Lauren Childrenswear striped jersey shortall. 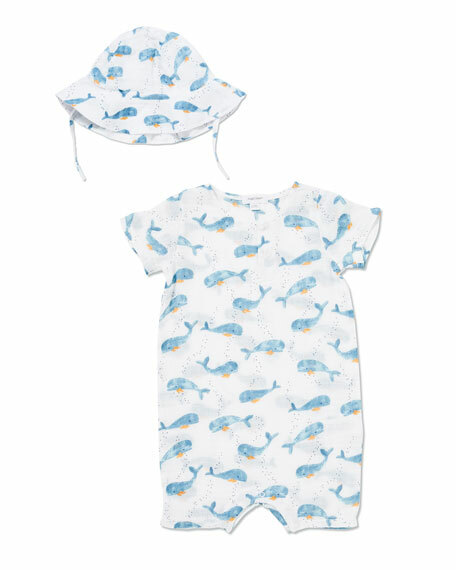 For in-store inquiries, use sku #2529684. 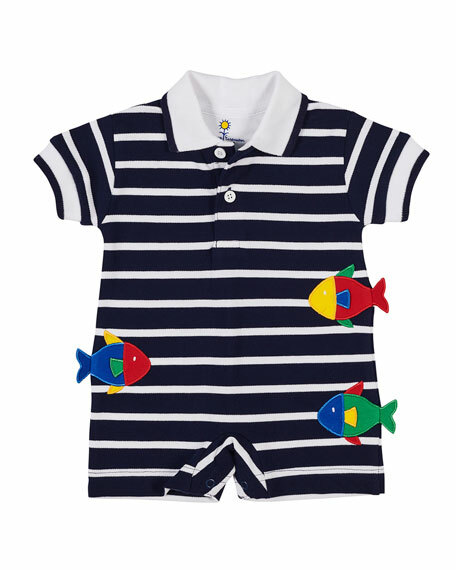 Two-piece set by Florence Eiseman includes check pique shortall and polo shirt. 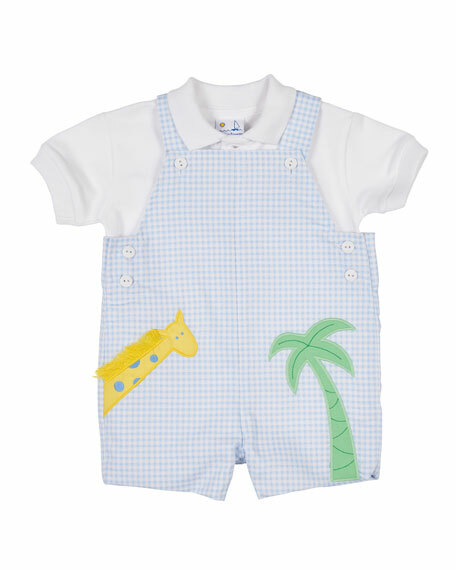 Embellished with giraffe and palm tree appliques. Buttoned shoulder straps. Both, cotton. Imported. 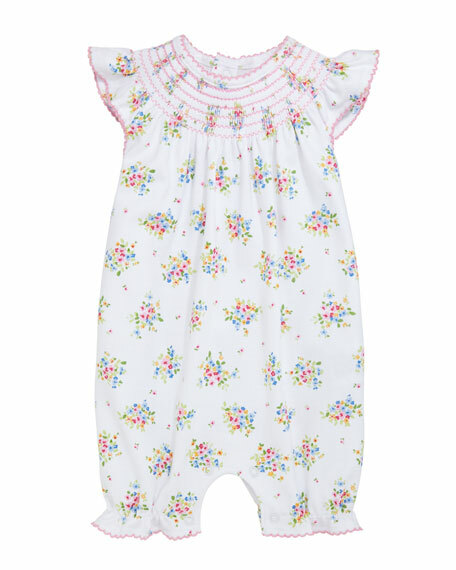 Kissy Kissy shortall from the Petite Pansies collection. Smocked, embroidered chest. Crew neckline; snaps at back. Short, flutter sleeves. Elasticized leg openings. Solid picot trim. Snaps through legs. Pima cotton. Made in Peru.